A show on spiritual health, healing trauma, new motherhood and resiliency. Listen for tips, tools and insight on how to create your best life through the ups and downs. 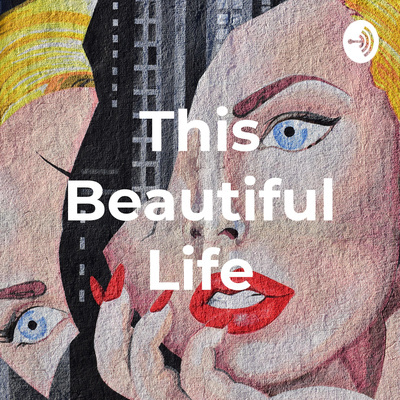 This Beautiful Life podcast is hosted by Emily Stroia, a spiritual teacher and self healing advocate over 11 years helping thousands of people heal from trauma and loss. She is the founder of online holistic arts school, Intuitive Soul Academy where she shares courses on intuition and spiritual health. What is the role of the spiritual teacher? Should we have one? Do we have to travel to India to find our guru? Emily shares on this subject and what it means to be a spiritual teacher and what the real role of one is in your life. For more info on Emily go to www.emilystroia.com and check out her school, www.intuitivesoulacademy.com for her online courses + programs on spirituality and well-being. Healing from PTSD and trauma is an ongoing journey. Listen as Emily shares her process of healing from nightmares and what tools have been helpful for her. With a new year comes new changes, listen as Emily shares tips on embracing big life change. She shares tools she has learned from motherhood, being a new mom and an online entrepreneur. Sharing our stories can be a challenging feat. Listen as Emily reads a powerful excerpt from her book, Into the Light. Go to www.emilystroia.com to learn more or visit Amazon and grab a copy of her book, Into the Light. What did your soul decide before birth? Listen as Emily shares a poem from her latest book, Into the Light on the soul contract. Grab a copy on Amazon and follow along with her. Go to www.emilystroia.com to learn more about her. Telling your story can be scary and nearly impossible. Listen as Emily shares her breakthroughs in the power of sharing her story with the world. Are you tired of being disappointed by your expectations? Listen as Emily shares her insight on the importance of letting go of expectation. Being ourselves in a world constantly tugging at us to be something else is hard. Learn how to tap into the power of being you in this episode. Receiving from the world can be a challenging feat for many of us. Learn how to receive and discover some key tools in how we can practice this beautiful art. We are designed to give and receive. Intuition is a gift we all have. Discover how you can connect with yours and use it as a tool to live a happy and fulfilled life. Finding peace in psychedelics is a tool that many people explore. Listen as Emily shares her first time using psychedelics to heal the past and find peace. Get rid of the fear that you are too much. Let go of playing small and learn the power of being yourself in this episode. Endings bring up so many feelings. They are just as important as the beginning of any story. Emily shares her insight on how to honor the end and start a new beginning with grace and mindfulness.